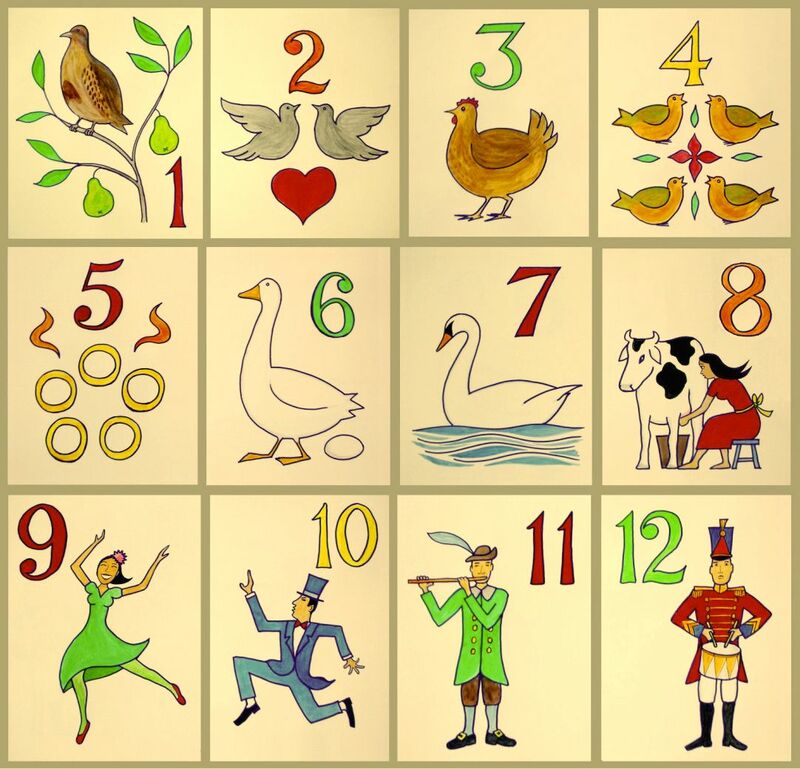 Way back in 2012, I posted about some interesting math activities that you can do with the song, “The Twelve Days of Christmas.” This happens to be one of my most despised songs ever because of the redundancy. However, it’s worth using in class to demonstrate a little mathematical magic and get your students to think about the true cost of ridiculous gifts that no one would actually want to receive (aside from five golden rings). My 4th grade gifted students are studying mathematical masterpieces. We had looked at the Fibonacci series earlier this year, and a couple of days ago, I stumbled across an interesting lesson that ties Pascal’s Triangle in with “The Twelve Days of Christmas”. We spent half our day: creating the triangle, finding patterns in the triangle, finding Fibonacci in the triangle, trying to make sense of a Vi Hart video about the triangle, and using the triangle to figure out how many gifts were actually bought each day. The other portion of my post mentioned a website interactive that doesn’t appear to work any longer. However, it was hosted by PNC, who has been kind enough to provide an updated version that gives current estimates of the cost of each gift. There are also some educator resources, designed for middle school and high school students, as well as a free printable coloring book. I plan to actually have my student calculate the final cost of the gifts. (If you want to do the same, don’t let them use the website at first because it reveals the answer when you scroll down far enough.) This recording sheet is one that you could use for gift calculations. A nice feature of the updated PNC site is the interactive graph near the bottom that allows you to see how costs have changed over the years for the group of gifts as well as for each individual gift. This can yield some good discussions on what might be driving the costs up or down.